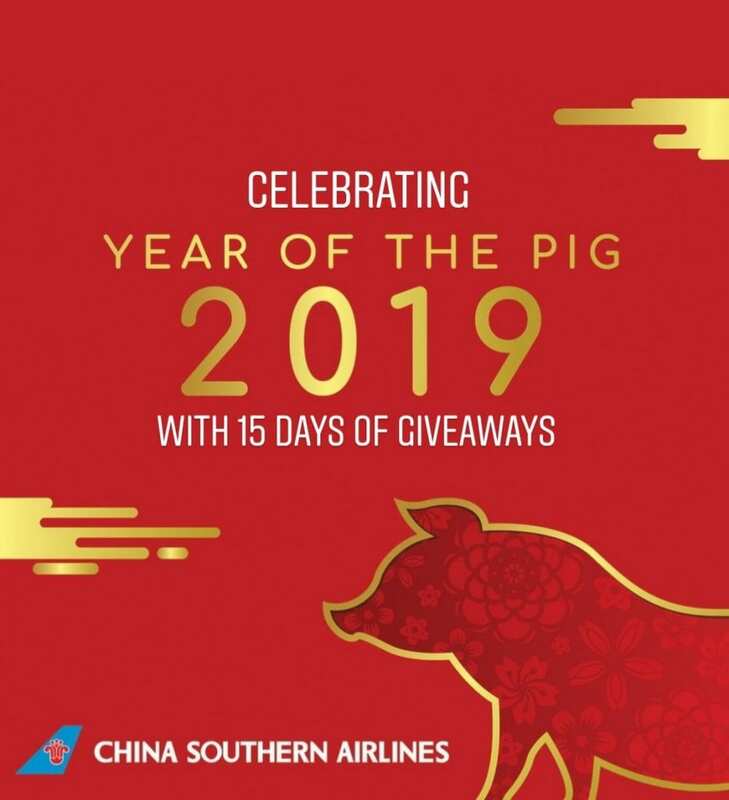 To kick off Chinese New Year, from February 5-19 China Southern airlines will be running a promotion on their Instagram account @chinasouthernamerica which will award a unique giveaway that range from round trip tickets to travel gears to one lucky Instagram follower each day to celebrate The Year of the Pig. As the 12th and last animal in the Chinese zodiac, the pig is a symbol of wealth and represents fortune and prosperity. “The lucky followers that win our daily giveaway will be blessed with the auspicious fortune of this lovable animal. We are happy to bridge Eastern and Western cultures with our daily nonstop flights between the US and Guangzhou. Social media allows us to reach a new audience and we are celebrating Chinese New Year by awarding our followers with 15 days of exciting giveaways,” states Hou Ming, Head of China Southern Airlines North America. China Southern Airlines, operates the largest fleet (820 aircrafts) and transported over 139 million passengers in 2017, ranking number one in Asia and number four in the world. The award-winning airline is a Skytrax four-star carrier, the world’s most prestigious airline performance evaluation organization. China Southern was recognized as Top 50, Most Admired Chinese Company by “FORTUNE China Magazine”. In 2015, China Southern was rewarded as Excellent A330 Operator by Airbus, China’s Top 100 Valuable Brand Enterprise Award & Golden Pegasus Award by the 15th China International Transportation & Logistics Expo. In 2016, China Southern was listed among Top 500 corporations in China by “FORTUNE China Magazine” as the No. 1 company in the transportation industry. In 2017, China Southern was named among the most valuable airline brands by Brand Finance ranking 1st in China and 6th globally.